Years ago, “SportsCenter” was appointment viewing for me. I loved the updates, commentary and insights. But in today’s lightning-quick sports media environment, it’s no longer a priority on my daily schedule. Neither for that matter is FS1’s “Fox Sports Live.” No sports talk show is, in the views of millennials — and I’m even out of my millennial years. On linear TV, sports talk may be background music, if the fan happens to be home. But for ESPN, Fox and other sports programmers actually to engage the millennial viewer, they have to allow that viewer to determine when they’re going to catch that show — on their timetable, not the programmer’s. Of course, network programmers already understand this. They realize fans are recording shows, and that on-demand viewing enables them to fast-forward through commercials. They’re innovating sponsorship formats with this reality in mind. The networks also are doubling down on expensive sports rights fees, calculating that fans will continue to gravitate to the linear-TV platform to watch sports live, at home or in bars. Event-driven live viewing means relatively unfettered exposure to advertising, and a powerful forum to promote other dayparts and programs. Speaking at the October National Association of Broadcasters Show, CBS Sports Chairman Sean McManus reportedly praised Fox’s estimated $550 million-per-season deal for sole rights to 11 “Thursday Night Football” games — even if it turns out to be a loss-leader for Fox. The network “did a really smart thing by guaranteeing they’ll win prime-time ratings for 11 nights,” McManus said. Meantime, the NFL isn’t waiting around for broadcast rights renewals. While national games have been available digitally via authenticated apps, the league has made them available on mobile devices without authentication on NFL.com and Yahoo. CBS, to its credit, has been developing CBS All Access as a destination platform, and it’s likely it would factor into negotiations for a rights renewal with the NFL. But would CBS be prepared to consider the eventuality that the digital platform might become its primary NFL platform? Speaking at the October Advertising Research Foundation event, NBC executive Jeff Bader noted that on linear TV, the average age of a “Law & Order: SVU” viewer is 61, while those viewing it on digital platforms are an average of 33. According to PwC, as many as 55 percent of Americans sometimes use a mobile device to watch TV, up from 36 percent a year ago. And mobile devices were responsible for 60 percent of all video views worldwide in Q4 2017, with consumers expressing more likelihood they would watch programming on a smartphone or tablet than a PC or TV, according to an Ooyala study. In other words, the move from “traditional” platforms to digital platforms is not only inexorable — it’s here, and irreversible. Millennials are already so accustomed to viewing content on-demand that they now even expect to get their live sports via on-demand platforms. Take boxing, one of the most communally viewed sports. HBO, a sports programming innovator, is now out of the fight game. WBA and IBF heavyweight champion Anthony Joshua’s usual U.S. TV home is Showtime, but his recent title defense vs. Alexander Povetkin was streamed on DAZN. Later, DAZN signed WBA and WBC middleweight champ Canelo Alvarez, arguably the sport’s biggest star, to a five-year, 11-fight deal that will pay Alvarez upward of a whopping $365 million. And, just this month, DAZN signed Gennady “Triple G” Golovkin to a reported nine-figure, three-year, six-fight deal — seemingly cornering the middleweight category. In a January interview with Bloomberg Businessweek, DAZN chief and former ESPN CEO John Skipper said he’ll bid aggressively on multiple types of sports packages. In November DAZN signed a three-year, $300 million MLB agreement, reportedly pushing its U.S. programming commitment already to the $2 billion level. Most mega-sports events will still default to traditional TV and PPV outlets for years. But increasingly, regular-season pro sports will be consumed on digital platforms. And the DAZN brand may carry just as much weight with millennial fans as will CBS, ESPN, Fox or Showtime. The legacy programming services have to adapt to this reality. ESPN is devoting major resources to its streaming platform. CBS, NBC and Fox are paying more attention to streaming. They also might look to the possibilities offered by ATSC 3.0 technology to deliver enhanced live-sports programming over the air to mobile devices. Engineers anticipate this next-generation broadcast TV standard, due for rollout within the next two years and promising the attributes of both over-the-air broadcast capability and broadband-style interactivity, can be leveraged not only for robust mobile reception of live content but simultaneous multimedia content such as stats. The message to these legacy programming networks is to start rethinking your brands for the non-linear consumer — even for live sports. 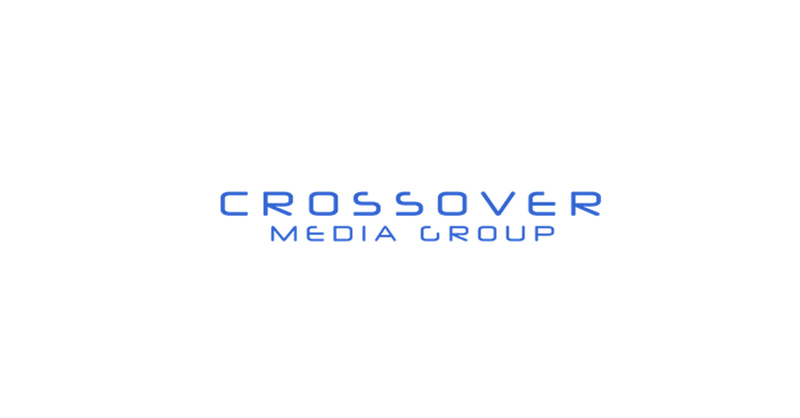 Scott Calka is the co-founder of Crossover Media Group.